Paying homage to the original film’s pumpkin poster. I have used the eye and mouth holes from Michael’s mask to create a spooky image. 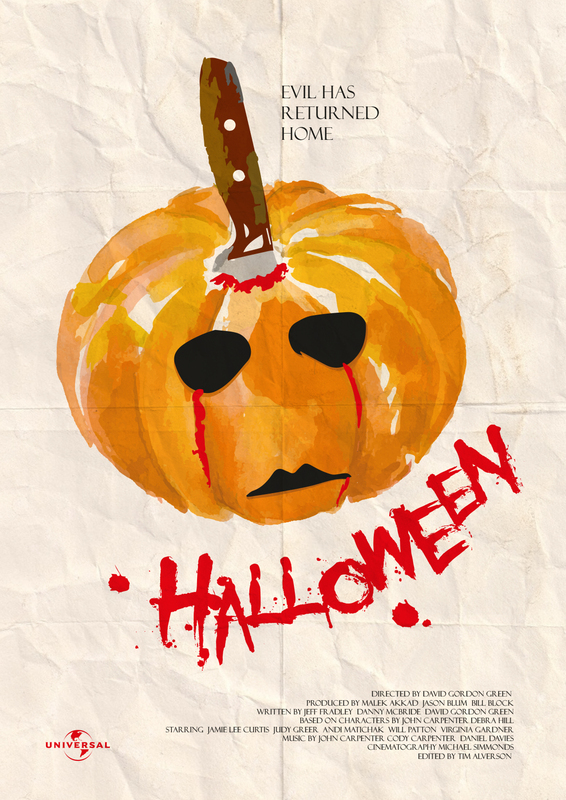 The knife handle becomes the pumpkin stem and the eyes have blood tears, pooling at the bottom to create the film title.